Acxiom® (Nasdaq: ACXM), the data foundation for the world’s best marketers, today announced an expanded partnership with Time Inc.’s Viant, a people-based advertising technology company. The collaboration unites two industry pioneers in marketing technology and first-party data to offer marketers, advertisers and agencies greater accuracy and scale, in addition to improved measurement capabilities, when using Acxiom data to target customers across the Viant Advertising CloudTM platform. As PwC predicts online ad spending will exceed $75 billion next year, marketers must use accurate, omnichannel data to ensure their dollars are best spent via people-based marketing efforts to reach the right consumers across all channels. By combining Viant’s first-party registered user base and Advertising Cloud platform with Acxiom’s identity resolution and consumer insights, advertisers can now access a premier collection of accurate, accountable and ethical omnichannel data. Founded in 1999, Viant owns and operates Adelphic and Myspace and is a member of the Xumo joint venture. In 2016, Viant became a subsidiary of Time Inc. (NYSE:TIME), one of the world’s leading media companies with over 100 influential brands including People, Sports Illustrated, Fortune, and Time. Acxiom provides the data foundation for the world’s best marketers. We enable people-based marketing everywhere through a simple, open approach to connecting systems and data that drives seamless customer experiences and higher ROI. 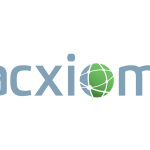 A leader in identity and ethical data use for more than 45 years, Acxiom helps thousands of clients and partners around the globe work together to create a world where all marketing is relevant. For more information about Acxiom, visit Acxiom.com.